This game is web-based and it’s accessed on a computer. There are rounds and if you fall in the black holes, you’ll have to restart the round until you complete it. However, if you finish all the rounds then you have won the game. You have to use the left arrow, right arrow, up arrow and down arrow to move the alien and the space bar is to jump. 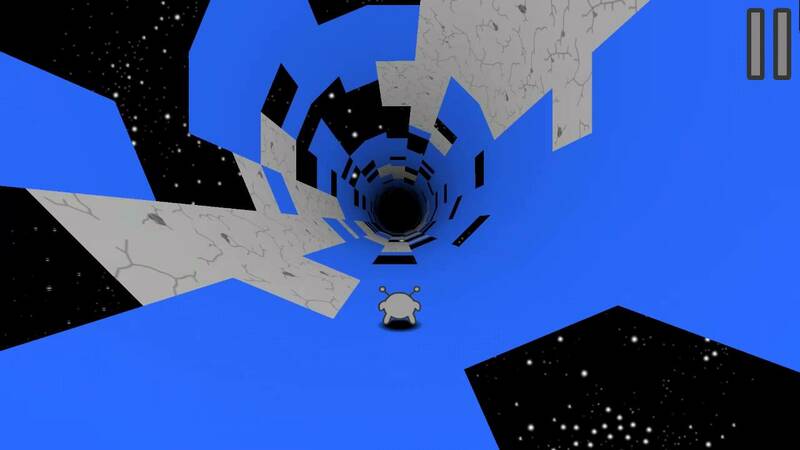 The objects move as the player move which makes it tricky to not fall in the black holes. The reason why I like this game is because even though it’s a short game, it’s fun to play with and because it has vibrant colours that make the game more realistic. Another reason is because they regularly update the game and when they update the game, new features come out as you can see on the picture the grey tiles have recently come out. When you’re on the grey tiles it allows you to stay for a second then it will vanish if you do not move then you fall into the black hole but if you move then your player will still be alive. Another reason why I like this game is because this game gives me ideas on how to create my own games and it allows me to visualize what my own game could be.